ORLANDO, Fla. (January 10, 2018) – This morning SeaWorld Orlando and the Jacksonville Zoo and Gardens returned two rehabilitated manatees. A warm water source near the St. John Boat Ramp provided the perfect location for this important manatee return. The goal with every rescue is to rehabilitate and return the animal as quickly as possible. This remains the case even during winter months. 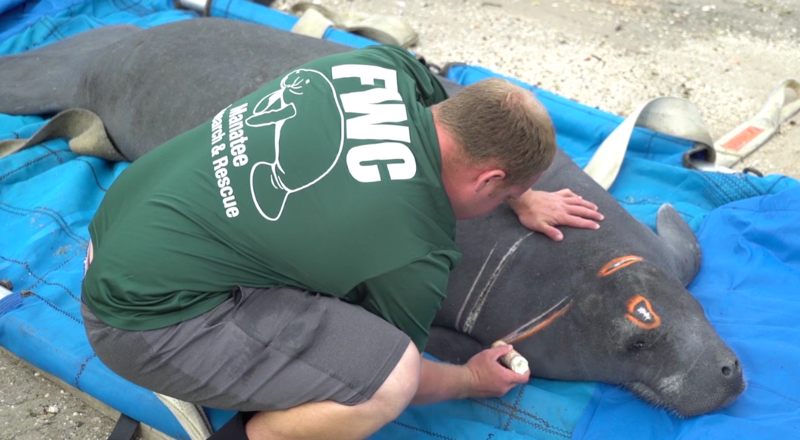 Throughout the year, The Florida Fish and Wildlife Conservation Commission (FWC) closely monitors environmental factors of Florida waterways including water temperatures, which allows for rehabilitated manatees to be returned year-round. Returning manatees to a warm water source also allows the rescued manatees to familiarize themselves with the warm water site so they can return to it again the next time temperatures cool down. Harper Lee- This sub-adult female manatee was rescued on November 9, 2017 from Sikes Creek in Merritt Island Florida due to an entanglement. During her rehabilitation she received routine wound treatment as well as antibiotics for infection caused by the entanglement. Carolina- The sub-adult female manatee was Jacksonville Zoo’s first critical care patient at their new facility. She was rescued in Charleston, South Carolina as part of a larger operation to relocate wayward manatees that found themselves trapped in the Cooper River when water temperatures quickly dropped last November. Carolina was exhibiting mild cold stress and it was determined by SeaWorld and Jacksonville veterinarians onsite that she would require rehabilitation. Over her six week rehabilitation she was able to heal from her cold stress injuries and regain her strength. In addition to returning two rehabilitated manatees, SeaWorld Orlando transferred a young rescued manatee to the Jacksonville Zoo. 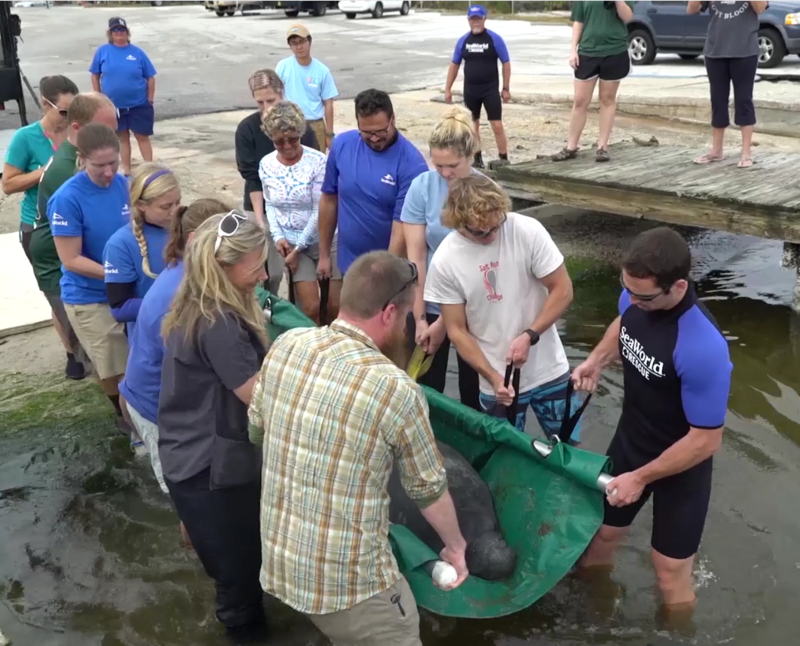 As part of the Manatee Rescue and Rehabilitation Partnership (MRP) facilities are able to work together shifting rehab animals between facilities to ensure future rescues are not turned away. With the Jacksonville Zoo taking this young rescue for continued rehabilitation, SeaWorld Orlando now has more space for future critical rescues. As part of the Manatee Rescue & Rehabilitation Partnership (MRP), SeaWorld Orlando is an acute care rehabilitation facility that provides life-saving medical care to rescued manatees. The MRP is a cooperative group of non-profit, private, state, and federal entities who work together to monitor the health and survival of rehabilitated and released manatees. Information about manatees currently being tracked is available at http://www.manateerescue.org. The Florida manatee was recently reclassified from endangered to threatened, but is still at risk from both natural and human causes of injury and mortality. Exposure to red tide, cold stress and disease are all natural problems that can affect manatees. Human-caused threats include boat strikes, crushing by floodgates or locks, and entanglement in or ingestion of fishing gear. All manatee rescue footage is produced by SeaWorld under the FWS Permit Number MA770191. If you see an injured marine animal, you can help by calling the FWC hotline at 1-888-404-3922 or by dialing *FWC on a cellular device. SeaWorld Entertainment, Inc. is one of the world’s foremost zoological organizations and a global leader in animal welfare, training, husbandry and veterinary care. The company collectively cares for what it believes is one of the largest zoological collections in the world and has helped lead advances in the care of animals. The company also rescues and rehabilitates marine and terrestrial animals that are ill, injured, orphaned or abandoned, with the goal of returning them to the wild. 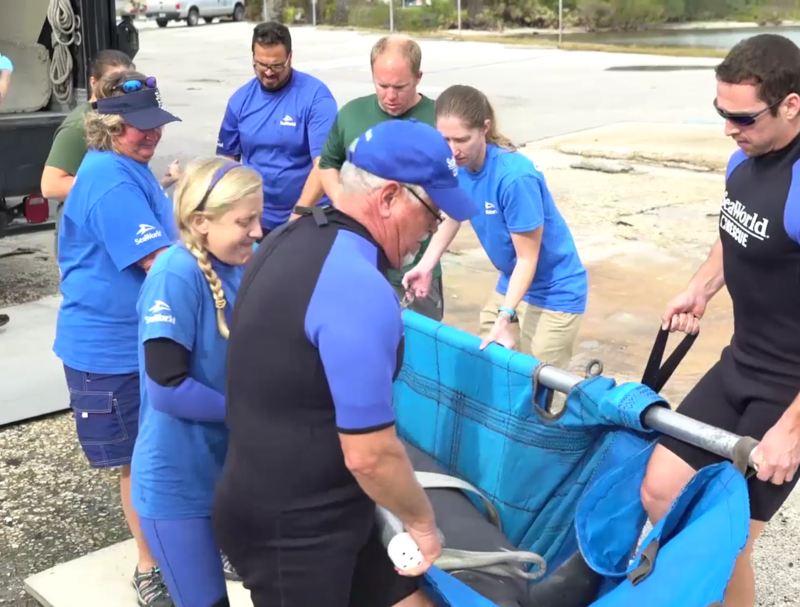 The SeaWorld rescue team has helped more than 27,000 animals in need over the last 50 years. The company owns or licenses a portfolio of globally recognized brands including SeaWorld®, Shamu® and Busch Gardens®. Over its more than 50-year history, the company has built a diversified portfolio of 11 destination and regional theme parks that are grouped in key markets across the United States, many of which showcase its one-of-a-kind zoological collection of over 800 species of animals. The company’s theme parks feature a diverse array of rides, shows and other attractions with broad demographic appeal which deliver memorable experiences and a strong value proposition for its guests. For over 100 years, the Jacksonville Zoo and Gardens has aimed to inspire the discovery and appreciation of wildlife through innovative experiences in a caring environment. Starting in 1914 with an animal collection of one red deer fawn, the Zoo now has more than 2,000 rare and exotic animals and 1,000 species of plants, boasting the largest botanical garden in Northeast Florida. 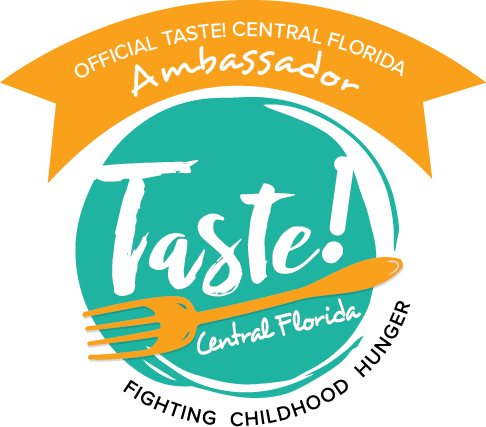 The Jacksonville Zoo and Gardens is a nonprofit organization and a portion of every ticket sold goes to the over 45 conservation initiatives Jacksonville Zoo and Gardens supports around the world, and here in NE Florida. JZG is proud to be an accredited member of the Association of Zoos and Aquariums. For more information, visit jacksonvillezoo.org.